March 1st–Candidate Section of the application is due! More ideas? Read this post on what to do when you’ve been accepted to one of the finest higher education establishments in the nation. Acceptances are out–not all of them. That’ll take through June. Check online to find out what’s missing from your application and rectify it. Check with your B&G officer, too. He’ll direct you to solutions for any shortfalls. USNA, USAFA and West Point all offer Summer Seminar–an opportunity for juniors to spend a week on the campus seeing if it feels right. And, it gives administrators a chance to watch and evaluate prospective students. By now, you’ve made arrangements. Have fun and pay attention. The fit of a Military Academy to you is critical to your success. Applications close in April, but it takes a bit of work to collect the information required for the application. Go to as many as you can. 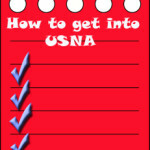 Even if you know you want USNA, attend the others. You’ll also want to apply for the others, so know as much as you can about each option before the deadline. They take about a week, but it’s a worthwhile commitment. All applicants are notified by April 15th. For more information on a Military Academy Summer Seminar, read this post. Click for information on West Point’s Summer Leadership Program. USAFA Summer Seminar applications are closed. If you’re over 1400, you’re doing great. If you’re not, take it as often as possible. There’s a trick to the test that you’ll figure out as you take it over and over. A lot of colleges offer a PSAT-type test for free,. Take advantage of those opportunities. That’ll keep costs down and provide feedback on what you should work on. Beginning on Tuesday, February 12, admissions briefs will be offered in Halsey Field House Monday-Friday at 10 a.m. and 2 p.m. These tours are offered through your Blue and Gold officer or any number of other avenues. Find a tour. Take it. 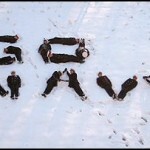 First and foremost, you want to be sure that a Naval Academy choice is right for you. Seeing how officers work on a Naval vessel is a good idea. If you’re over 1400, you’re doing great. If not, take it as often as possible. There’s a trick to the test that you’ll figure out as you take it over and over. A lot of colleges offer a PSAT-type test for free. Take advantage of those opportunities. That’ll keep costs down and provide feedback on what you should work on. Chat with them. Pick their brains. Find out what they can tell you about life in the military. It’s a different world and any way you can assure yourself it’s for you, do it. Even as school heats up and time gets short, stay in touch with whatever it is that sets you apart from others. Military academies like that side of you. They want to know you can do everything, not just academics and sports. Most colleges want to know you give back to your community; Military Academies are no exception. Do as much as you can. Give as much of your time and labor as you can afford. No, it doesn’t mean you can do less in academics or sports. Figure out how to do it all. That’s the kind of person USNA, USAFA and all military academies like. Jacqui Murray is the author of the popular Building a Midshipman, the story of her daughter’s journey from high school to United States Naval Academy. She is webmaster for six blogs, an Amazon Vine Voice book reviewer, a columnist for Examiner.com and TeachHUB, Editorial Review Board member for Journal for Computing Teachers, Cisco guest blog,Technology in Education featured blogger, IMS tech expert, and a bi-weekly contributor to Today’s Author. In her free time, she is the editor of a K-8 technology curriculum, K-8 keyboard curriculum, K-8 Digital Citizenship curriculum, and creator of technology training books for how to integrate technology in education. Currently, she’s editing a thriller that should be out to publishers next summer. Contact Jacqui at her writing office or her tech lab, Ask a Tech Teacher. « Should You Worry About Asteroids?